No one likes to think about their air conditioner running into problems, especially here in southern California, where temperatures in the summer can soar into triple digits. But if your system runs into trouble, you want the right team to be there and perform the proper service quickly and effectively. How do you know which service that is? In most cases, you want to determine that well before you have need of such a service. Every home is different, and the needs of yours may dictate which air conditioning service you contact. You wouldn’t want a given service to be too distant, for example, or not offer services for your specific type of air conditioner. That being said, there are still certain qualities you should look for that indicate a high quality of service and technicians that you can depend on. We’ve listed three of them below. Most companies worth their salt merit good reviews from happy customers, and it’s not hard to find out which ones deliver their money’s worth simply by checking Yelp or similar sites for positive reviews. A quality air conditioning company, however, will offer something more: specifically affiliations from the companies that manufacture heating and air conditioning systems. Such companies give their blessing to local services when they feel that such services can properly address any issues with their products. 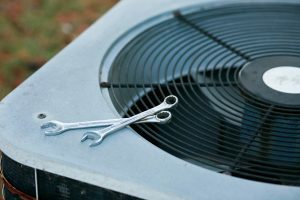 It’s a sign that the air conditioning service knows exactly what it’s doing and can be counted on to diagnose and repair any problems with speed and accuracy. Air conditioners don’t always pick normal working hours to break down, and you can’t always wait around until a service can be called to schedule repairs. Even the nights can be hot in July and August, and without air conditioning, your home may soon resemble a sauna. It’s bad enough if you’re merely hoping to get a good night’s sleep, but it can be particularly difficult for people with health concerns, such as the very young or elderly. That’s why any reliable service will offer emergency calls: 24 hours a day, seven days a week. They know that you can’t simply put your life on hold just because your air conditioning doesn’t work, and will go the extra mile to keep it functioning. There are companies that want to build a successful business with loyal customers, and there are companies that would rather take advantage of people. A quality air conditioning service will always offer estimates up front, so you always know exactly what you’re going to pay before work begins. A less scrupulous service, on the other hand, will often “discover” some new problem midway through, and charge you a lot more than you were expecting to fix it. If your Cerritos, CA air conditioning system needs a little work, or you’re just hoping to get it tuned up before the summer begins in earnest, call the friendly professionals at Greenleaf Heating & Cooling. We provide air conditioning services for homes of all variety!